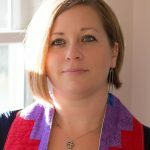 Unitarian Universalists often describe their religion as a spiritual search – that is, we affirm individual freedom of belief and encourage each person’s unique religious quest. Adult Religious Exploration is an important tool in that quest. FUSIT offers adult programs designed to serve the needs of both new and lifelong Unitarian Universalities. Program announcements are included in our mid-week email announcements, monthly newsletter, and posted to the church calendar. Please contact our Congregational Administrator at cadmin@uuithaca.org if you would like to receive our mid-week email announcement.